ready and waiting to be seized! Enjoying one of the most outstanding Northcote locations and promising an abundance of potential, close your eyes and imagine all the great things you could do with this single level beauty. Astute buyers will love the opportunity to fully overhaul this property and bring it into the 21st century with stunning luxury and contemporary touches. 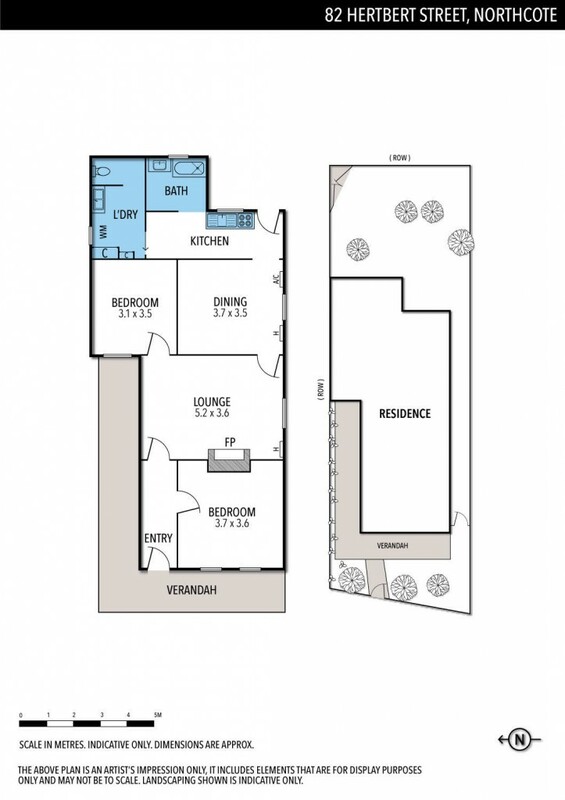 The floorplan is easy and functional, with highlights including a spacious lounge, large separate dining room with easy access to the kitchen, sizeable front bedroom, well-sized 2nd bedroom, bathroom with a separate toilet and a laundry. The home also features charming timber floors, high ceilings, heating and cooling and a rear garden with the option for off-street parking. Dual laneways wrap around the entire rear and side of the home. The location is exceptional and only a short stroll to Northcote Station and the amazing shops, restaurants and cafes on High Street. You're also near Northcote Plaza Shopping Centre, All Nations Park, Batman Park, Northcote Primary School, Northcote High School, Santa Maria College, and trams on High Street.